Located at the cusp of Doctors Pass and the Gulf of Mexico, the Indies West complex is in a unique location to enjoy all that the Naples waterfront has to offer. Situated on 6 acres of pristine beachfront land in the Moorings, south of Doctors Pass, this community was built as a vision in villa-style living. And with only 4 units per building, Indies West properties have a private feel. This 2 bedroom, 2 bathroom listing sits one row back from the Gulf, allowing it relative safety from harm's way while still being just 50 steps from the beach. Watch sunsets from the window-lined great room or watch boats passing along Doctors Pass. 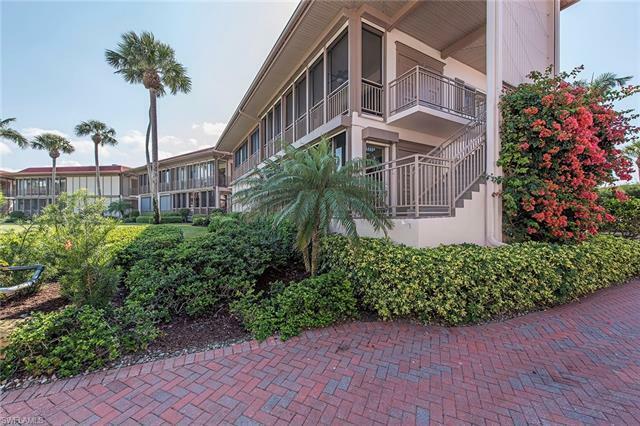 Attention to detail is at the forefront of this home with teakwood parquet floors, crown molding in the bedrooms, a Gulf view from the master suite with a private balcony and plenty of storage, both in the unit and in the garage. And to make it even more enticing for that discerning buyer, the home could include a 2012 Lexus in the garage with only 5, 500 miles on it!